Gorgeous, super sweet savannah female kitten. Gold coated with jet black spots, large well placed ears, short tail and black nose. This kitten is a real show stopper. Impeccable litter habits. Likes to cuddle when she sleeps. TICA registered, F3C. She is up to date on all vaccinations and vet checked. Thanks for visiting with us! 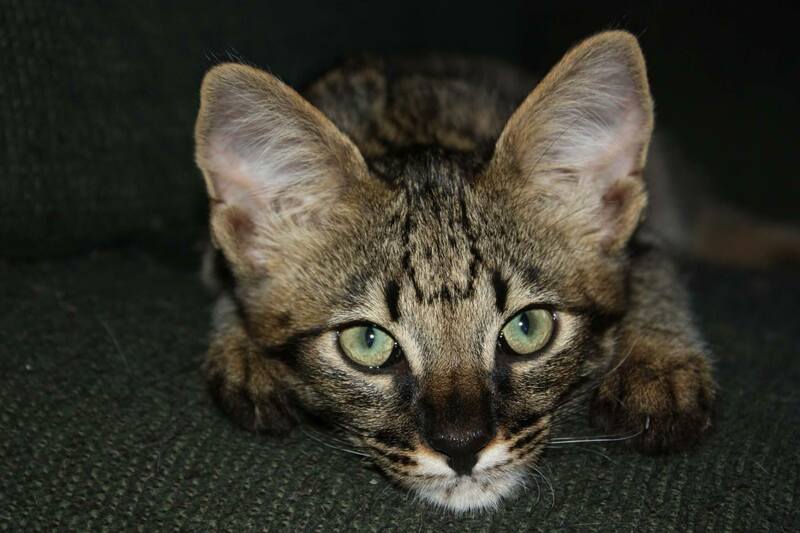 If you are a Savannah Cat lover like we all are, we encourage you to sign up for our mailing list. 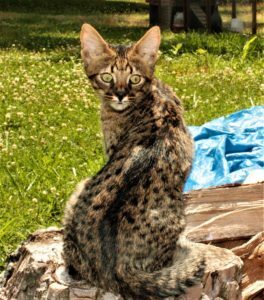 Who doesn't love to receive news, advice and recommendations related to Savannah Cats?